One of the things that people often use to define me is my insatiable love for Indie Rock/Pop. I listen to what counts as a lot of it and am always in search of the next great album. As of today if you started with the first song in my iTunes and just let it play straight through you would hear the last song 31 days, 16 hours and 13 minutes from now. And this is not bragging. I know many people with much larger iTunes libraries. They collect everything they can get their hands on. The only thing impressive about mine is that 90% of is Indie music. And I use that term loosely as it should be. There really isn't anything that makes a band or album "Indie" these days. Even traditionally independent labels aren't the little guys anymore. What I consider Indie is music (any type including hip/hop, punk, electronic, etc) that isn't produced for seemingly the sole purpose of making money. It isn't over-produced and rewritten to make it a surefire hit. It comes from the heart of the musician. It's art. Without going into a long diatribe about mass consumption and what makes music "good" let me just say that I've been loving the live music selection here in St Louis! It really could be a hassle for me to head to into the city for a weeknight show when living in the Chicago area so I often missed some of my favorite bands. Getting home at 2 in the morning on a work night just wasn't going to cut it for me. I'm useless the next day. I did make it point to take the next day off for the bands I really wanted to see. Although I'd be living in the city in St Louis, I was definitely concerned I'd be seeing even fewer shows for a different and much more problematic reason. I'd taken a hard look at many bands touring schedules and noticed that they often skipped the StL. This was especially true for the smaller one's. This being the case, I'd have no choice but to miss my favorite bands shows. Then a crazy thing happened. Right about the time I moved here announcements started happening. Suddenly a huge influx of awesome bands were hitting the local establishments. Now I'm having trouble clearing my schedule to get the shows in! My first such show was last night and it was a perfect intro to the St Louis small venue scene. I scored last second tickets to the Cut/Copy, Matt & Kim show at The Gargoyle via Craig and his list and it didn't disappoint. The Gargoyle itself is an interesting venue... It's seemingly in the basement of one of the student centers at Wash U. Unless you ask someone or already know, I would say it's damn near impossible to find. The good news is the sound was top notch for it being what I would guess is a former cafeteria. Then again, it may have been the band. Matt and Kim were just awesome. Most of the audience there was for Cut Copy but I can assure you were blown away by the duo. I was there specifically for Matt and Kim and they did not disappoint. Not only that but they hung out with the crowd after their performance. They truly are the most approachable rock stars out there. Kim smiles through out the entire show. It's completely contagious. Here's some actual video of the show and I coincidentally was standing next to the guy. You're seeing pretty much what I saw. The only disappointment of last night is that Ra Ra Riot were playing at The Billiken Club across town. The coolest part of the Billiken Club other than the effing awesome upcoming lineup? The shows are completely free! You won't find that in Chicago. Thanks St Louis University! If you are interested in checking out some great Indie bands please click to the following sites or visit your local library. Or any of the hundreds linked to on any of those sites. Furthermore, check out a rarely updated blog I don't write for as often as I should, RockTransferProtocol. Here's a link to my top ten albums of 2008. Get em while they're hot. im happy there is some good music down there for you, but in defense of the chicago music scene, you did live 40+ miles away. . .
What's to defend? The problem was wholly mine. Chicago gets every band. The jealousy will happen shortly. BUT... How many venues are free Mike? Oh Snap. My music taste is dying. I find myself listening to talk radio most of the time. I need to get a nano for when I run, might get me back into things....and yes I've started running again. Now if I could just give up my Camel habit. 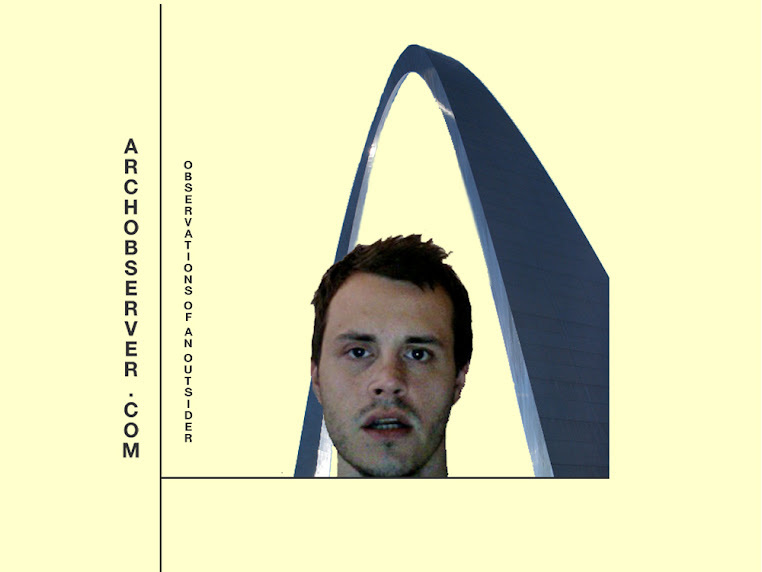 Have you checked out Lo-Fi St. Louis http://lofistl.com/ yet? Some pretty cool video of bands visiting town. They were more up to date in the past, not sure what is going on with them right now, but still cool nonetheless. No I hadn't! It does seem quite my taste though. Thanks for the link. the metro has free shows all the time, not the best venue in the world, but still. some private colleges do, but sometimes they're only for students. also, the borders by my place has a super-sweet open mic, plus all the apple juice and ginger snaps you handle. hey as far as indie rock/pop st. louis has some amazing talent....most notably Gentleman Auction House, So Many Dynamos, The Hibernauts, Target Market, Hunter Gatherer, Cold Bear Scout, among others. The Firebird hosts really good shows and try to keep the cover to a minimum as does Off Broadway. Ahh that's a nice list! I will check those out. I've heard of So Many Dynamos I believe. hunter gatherer and cold bear scout are two of the best bands the city has to offer.